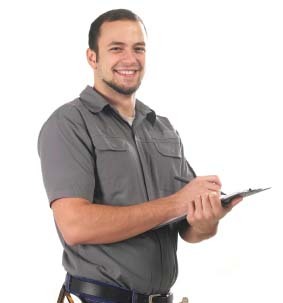 • Ask if the company has experience with your type of pest problem. Some companies specialize in certain areas of pest control, but you will want one that has expertise with your specific problem. • Get references. Nothing beats a recommendation from former customers, so go with a pest control company that comes with referrals from friends or relatives who have used them. • Find out if the company licensed and insured. • Ask if there are any guarantees. If termites are the issue, inquire about liability insurance in the event the company is unable to completely eliminate the infestation. • Check with the Better Business Bureau to see if there are any complaints against the company. Your state will also have a similar list. • Ask how long the service agreement extends. You will want to know how many months your home or business will be under contract for service. • Inquire as to which chemicals will be used and how they will be applied in your home or business. In most cases, you will want to opt for limited amounts and limited distribution. Note that warmer climates may require a wider usage. • Understand how often treatments are repeated and how many treatments are covered in the contract. • For termite contracts, find out if the damaged wood will be replaced and when re-inspections will occur. Also, learn where treatment stations will be placed and what types of chemicals will be used. Ask for the labels from all chemicals used. • Find out what the company plans to do in the way of prevention. How long will the servicing take? How often might they have to return to perform inspections, cleanup, etc. • Depending on the particular pest, your service professional should always perform the services as covered in the Contract or Agreement. Do not expect anything to be done if it is not in writing. Make sure you understand all aspects of the Agreement before you sign any paperwork. Take notes and do not hesitate to ask any questions you may have. Call our exterminators at Bob Reed Pest Control at 888-481-3384 or use our email form and contact us today!